Botched Restoration Of Temple Frescoes Sparks Outrage In China : The Two-Way The new paintings in Yunjie temple in Chaoyang, northeast of Beijing, have obliterated intricate 270-year-old artwork. This picture taken on Oct. 14 shows the current fresco in Yunjie temple in Chaoyang, northeast China's Liaoning province. 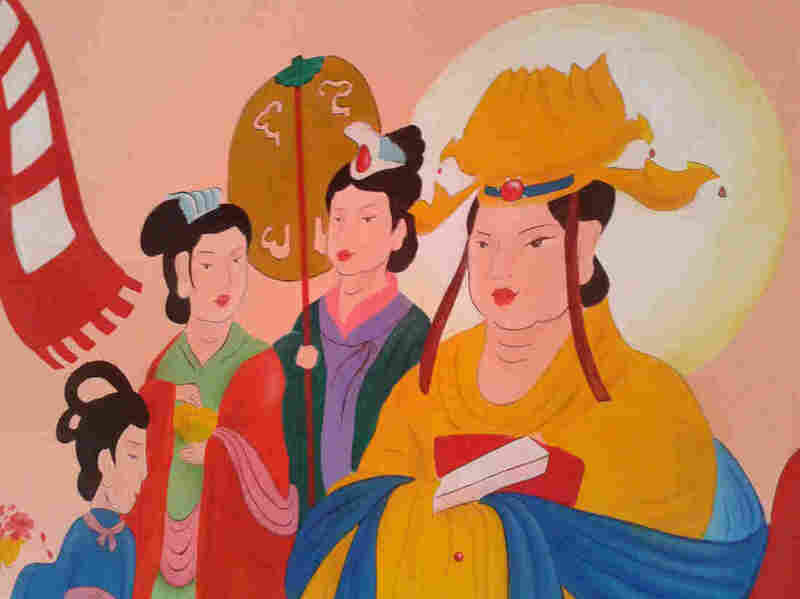 One official was fired and another reprimanded in China for allowing an unauthorized "restoration" of Qing Dynasty frescoes in a Buddhist temple that produced results described as "cartoons." The botched restoration in the 270-year-old Yunjie temple in Chaoyang, northeast of Beijing, was exposed by a Chinese blogger, who complained that the "last trace of history" had been "erased." 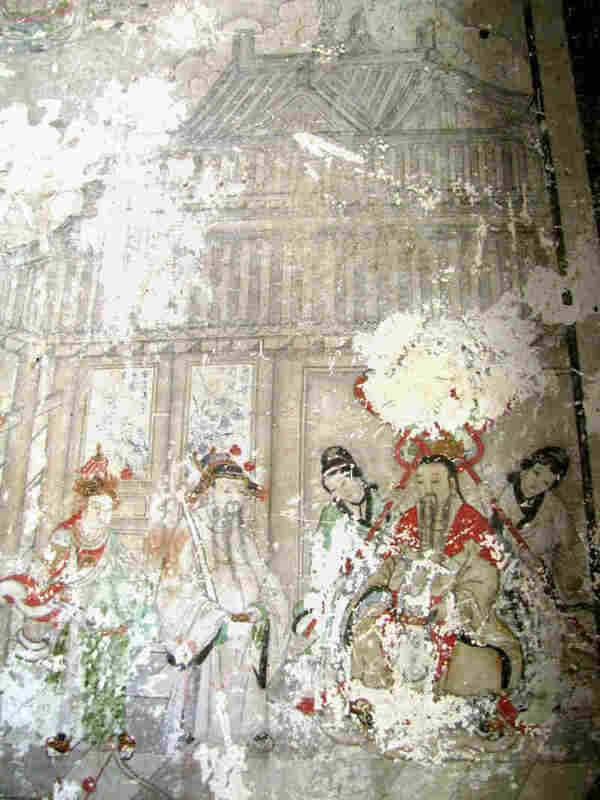 This 2011 photo shows one of the ancient frescoes in Yunjie temple that now are covered by cartoonlike paintings. "He explained that he had originally visited the temple in 2011 and liked the ancient frescoes so much that he took some friends back to see them during the National holidays at the beginning of October, but he was flabbergasted at what he saw.
" 'This is a crime. I am heartbroken,' wrote one blogger, responding to the photos.
" 'Nothing is real among Chinese relics except their names,' said another." "An official in charge of temple affairs and the head of the cultural heritage monitoring team in the city of Chaoyang, where the temple is located, have been sacked over the affair, the Global Times reported. "The Communist Party chief of the office responsible for the scenic area surrounding the temple has also been given a warning, the paper quoted city official Li Haifeng as saying." The unfortunate incident is reminiscent of another one last year in which an 81-year-old woman took it upon herself to restore a 19th century fresco of Jesus by painter Elias Garcia Martinez in the town of Borja, Spain. As we reported at the time, the "restored" Borja fresco sparked equal amounts of outrage and amusement.